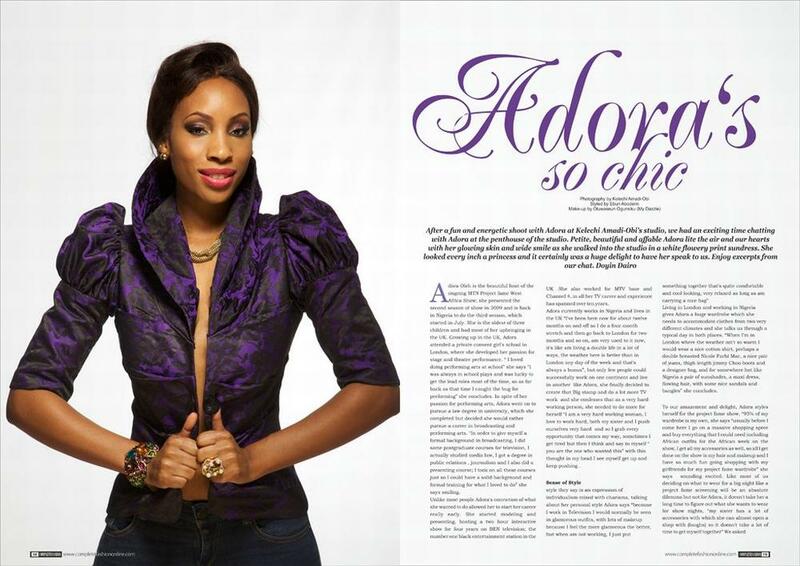 Nigerian TV Presenter Adora Oleh is Back with Season 2 of her Talk Show! View On-Set Photos & Watch the Teaser Yemisi Taiwo – TV STAR, where is she now? Complete Fashion Magazine is taking up a special place in our hearts! The glossy ‘style mag’ is always well put-together and a fun read. 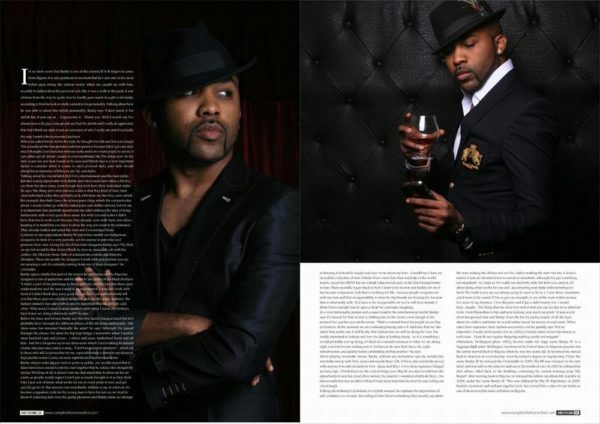 The most recent edition of the magazine features Banky W and Adora Olehrespectively on the dual covers. Banky is riding high at the moment with various award nominations and other accolades while Adora just wrapped filming of Project Fame West Africa Season III. In her interview, Adora shares her beauty regimen and also names her favourite Nigerian designers (Tiffany Amber, Deola Sagoe, Jewel by Lisa and Phunk Afrique). She also chats about her eponymous TV show “The Adora Oleh Show” which aired earlier in the year and is co-produced by her sister, Chika. For the photoshoot, Adora a purple statement jacket by budding Nigerian label, Phunk Afrique. She also spotted a blue jumpsuit and a feminine Ankara dress paired with a gold belt. In his interview Banky chats about his record label and high hopes for artistes Wizkid and Scales. He also talks about his extensive collection of hats, according to Banky “Wow, about my hats….I would say I have an incredible collection of hats. I think I have more hats than anybody in the world except maybe Neyo. For me, I think I discovered early in life that I looked better in hats. Then secondly it goes back to how I want to be known and luckily for me, it has become my signature look that is working for me….“. When asked about the celebrity who he would swap wardrobes with he said “Don Jazzy & Neyo”. There you have it! Buy your copy of the magazine for the complete interviews and rest of the exciting content. Yemisi Taiwo – TV STAR, where is she now?